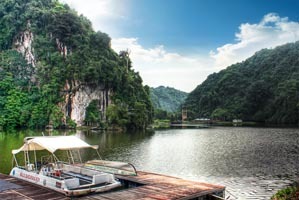 Taman Rekreasi Gunung Lang-backdrop consisting of a stretch of natural limestone hills and lakes that become the main attraction of visitors from in or outside the state. 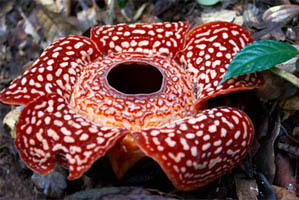 Rafflesia Trek-is near a little village about 12km from Gopeng, near Ipoh, Perak. To trek through the jungle to where the Rafflesia thrives, you need to engage the services of Orang Asli guide. The path is steepy, some parts you really have to climb. Halfway up the hill, you can already see a Rafflesia. There were also be rotting carcasses here and there. Art Of OldTown-created by Ernest Zacharevic, the Lithuanian artist & OLDTOWN White Coffee as a celebration of the heritage and history shared between Ipoh, Old Town and OLDTOWN White Coffee. 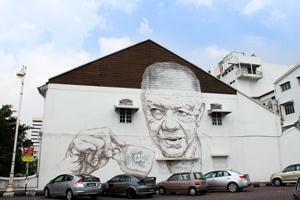 Ernest Zacharevic completes 8 amazing 3D Murals Wall Art In Ipoh old town city. The Mini I-City of Ipoh which called the Kinta Riverfront Walk in Ipoh. 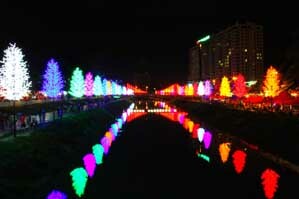 There's not only some beautiful LED lights on the trees (Just like I-City in Shah Alam), this Riverwalk also have some beautiful restaurant that faces the Ipoh river and frankly speaking. 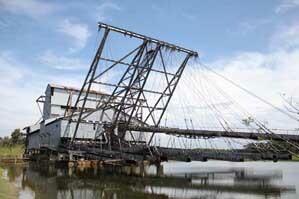 Tin Dredge-like a floating factory. This one, named Tanjung Tualang Dredge No. 5, or TT5, weighs 4,500 tons and is supported by a pontoon of 75 meters in length, 35 meters in width and 3 meters in depth. Tin mining and dredging activity which took place for over a hundred years has left behind of Peninsular Malaysia. 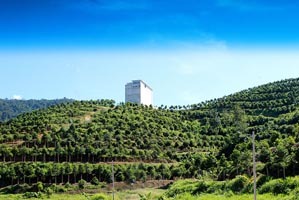 Gaharu Tea Valley-Gaharu tree or also known as wood of the Gods, is well known for its medicinal value since ancient times, including its tea, incense and perfumery products. Tourists will soon be taken to a spot that is currently under construction, where the one tall tress surrounded by a white tree will reside. 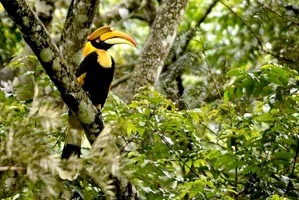 Royal Belum State Park Perak-Older than the Amazon forest, the previously inaccessible 130-million year old Royal Belum rainforest is a literal playground for some of the most exotic wildlife in the world. 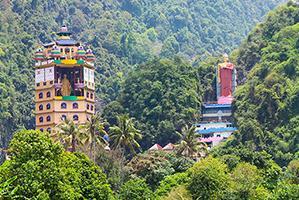 Bukit Kledang-Show you the beauty of the fascinating night view in Ipoh. Bukit Kledang also is most popular exercise spot for Ipoh folks. This trail is a melting pot for outdoor activities people. It is up to you to make the trail as hard or as easy as you like. Enlightened Heart Buddhist Temple-also known as Jingang Jing She by the locals is surrounded by magnificent perimeters of luscious valleys, orchards and limestone hills. More than 200 statues displayed in the temple was a sight to behold.